While people with thin hair often dream of having thicker locks, those with thick hair often despair at how difficult it is to style. Thick hair is dense, which is why styling it can be quite the challenge, but these do’s and don’ts should help you out. Nobody should be washing their hair every day, but this applies even more to those with thick hair. Well, since your hair is thicker, it takes longer for the natural oils to travel from the scalp to the ends of your hair. Over-washing your hair means that the majority of your hair will never benefit from your scalp’s natural oils. This will leave it dull and dry, making it so much harder to style. So, how often should you be washing your hair? Once every few days is enough, as long as your hair does not start to feel greasy. Blow drying thick hair that is completely wet can be so time-consuming, and there is actually no need to spend all that time doing this. Rather than picking up your blow dryer as soon as you are out of the shower, give your hair some time to air dry. 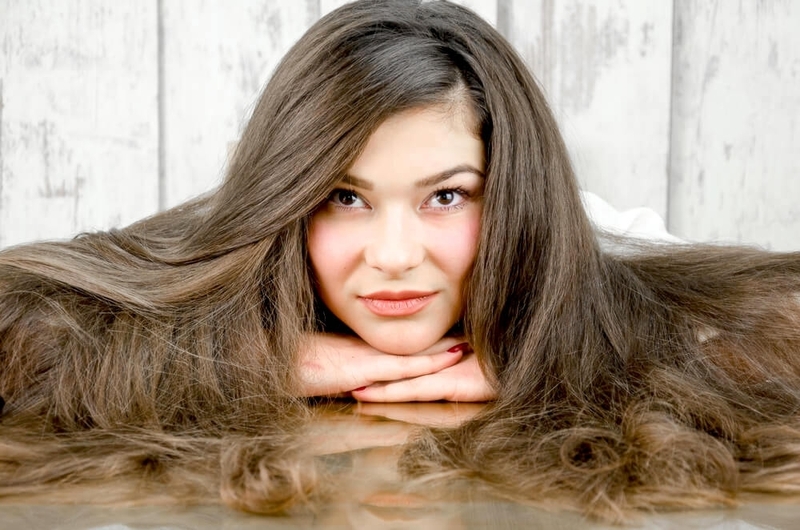 That depends on how thick your hair is, but aim for your hair to be around 75% dry before you begin blow drying it. This will also make it much easier to use a brush while blow drying your hair, which is important when creating a particular style. When you need your hair to dry quickly, it can be tempting to give it a good scrub with a towel to speed the process along a bit. Because wet hair is weaker and more fragile than dry hair, meaning that it is much more susceptible to breakages. Rather than scrubbing at your hair with a towel, use your towel to gently squeeze sections of your hair, so that you are pressing the water out instead. You should also make sure that you never use a brush on wet hair. Instead, opt for a wide-toothed comb, de-tangling the ends of your hair first before working your way up. Do you find that bobby pins do not seem to really work with your thick hair? Regular hair brushes can often cause extra static, which is not what you want when your hair is already so prone to frizz. Wondering what sort of hairbrush is best for thick hair? A boar bristle brush, because this will help to properly distribute your hair’s natural oils, which will not only control frizz, but also add some extra shine. Try hanging your head upside down while brushing your hair, because this helps the oils from your scalp to be evenly distributed through your hair. This also helps to block out humidity, which, as you know, would otherwise have caused frizz. If your conditioner promises to add volume to your hair, then it is no wonder that you are finding your hair difficult to style. Thick hair has enough volume of its own without needing the extra help, and you would be much better off looking for a conditioner that is designed for thick hair. The size of the bottle of conditioner that you buy is not as important as its contents. Conditioners that are rich, thick and formulated with quality ingredients will actually go so much further than a larger bottle of a lower quality conditioner, as you will need to use far less each time. Hair dryers are a tool that just about everybody has, but, just like with every other styling tool out there, not all hair dryers are created equally. Braids are such a great style for thick hair, as many require natural volume, which you will already have plenty of. Everything from a braided bun to a voluminous side braid will work beautifully with thick hair, so do give these styles a try. Not only are they feminine and so trendy, but they are also practical, and will keep your hair out of your face throughout the day. 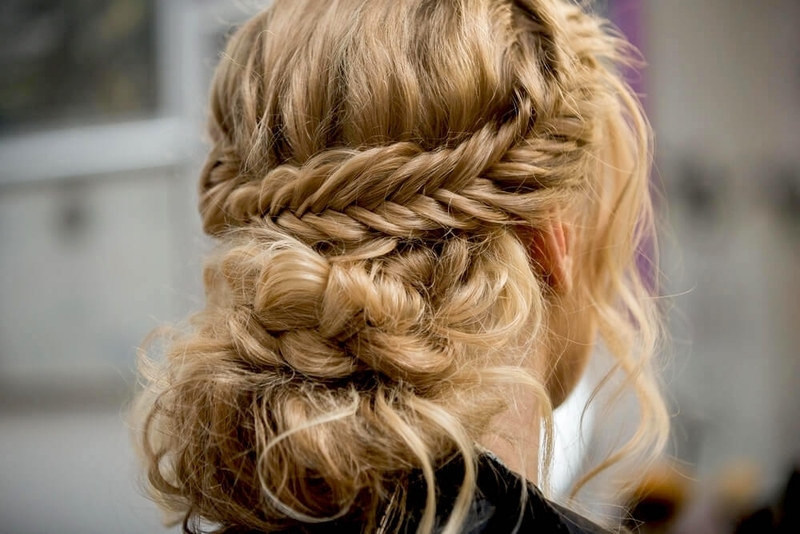 This can be trickier to braid, so try giving it a spritz with some hairspray before getting started. Because this will give your strands the extra grip that they need to stay in place. Cute little pins and bows may be in style, but these will not do much when it comes to holding your hair in place. The same applies to flimsy hair ties, which will only end up snapping when you least expect it. Extra-hold elastic bands and clips. These may be harder to find than the regular kind, but you will notice the extra hold that they give you immediately. Have you ever had your hair thinned? If you have, then you will likely be aware of the fact that while it may not look any different, it will feel about half as thick as it used to. 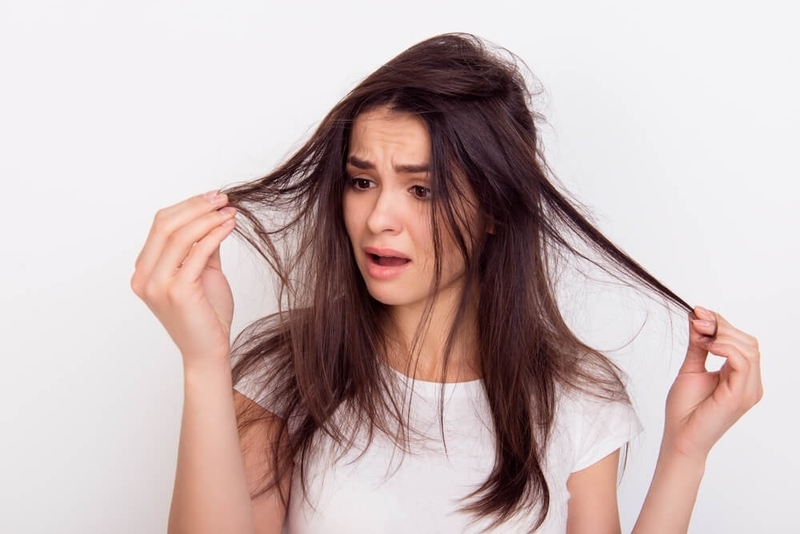 If you have never had your hair thinned, this is something that you need to know about immediately, as it can make your hair so much more manageable. Thinning makes use of thinning shears, which look like regular scissors except for the fact that they have a thick, serrated edge. They are designed to cut about 15% of hair, taking away its volume without having an effect on its style or length. However, make sure that your stylist only uses the shears to thin your hair, and not a razor, as the razor can leave your hair with quite a bit of damage. Hair serums are usually made from silicone, ceramides and amino acids, and basically form a protective coating over each strand of hair. Not only will they keep your hair feeling soft and looking glossy, but a quality serum will also significantly reduce the amount of frizz that you experience. There will always be bad weather days, and these will often coincide with those rushed mornings when you simply do not have the time to spend ages styling your hair. 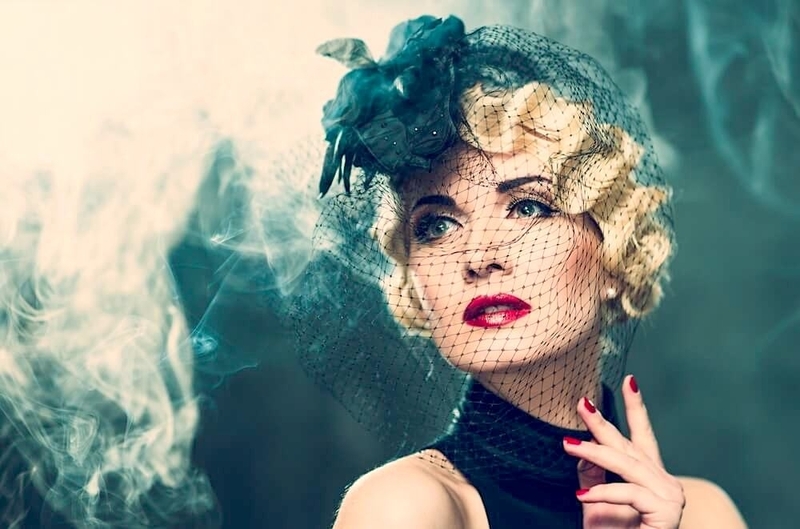 Rather than experimenting with different styles that will hold in place in strong winds when you are counting down the seconds until you have to leave the house, why not do this in advance? All you need to do is spend a couple of hours researching different styles that would suit your hair, and try these out a few times until you have mastered them. Choose around three styles that are quick and easy to create, and that will keep your hair in place no matter the weather outside. While sprays are easy to apply, they can often leave a white residue behind, which can take some time to brush out. They are also easier to direct straight into your roots, after which you work the foam through your hair in the same way that you would a spray. Half updos can be so useful, especially when you are strapped for time. Because putting half of your hair up means that you only really need to deal with the other half. Whether you curl your hair or straighten it, this will cut your styling time in half. Make sure that your hair has not been washed for a couple of days, but then begin your styling session with an application of dry shampoo. Many women with thick hair often opt for a blunt, single length haircut, and are afraid to try something new because thick hair can often react unpredictably. They are a cutting technique that removes weight from the internal parts of your hair. When done on thick hair, layers can really enhance hair movement, as well as softness and texture. Do you find it difficult to create beachy waves with your thick hair? From too much volume to too much frizz, many people with thick hair have problems achieving this highly sought-after style. Epsom salts, also known as magnesium sulfate, contain a number of important minerals that will not only nourish your hair, but also give it the texture needed for beachy waves. Either use it as part of a detox bath for your hair, or mix it with some water and put it into a spray bottle, giving your hair a spritz whenever you need to. There is no doubt about the fact that styling thick hair takes longer than styling thinner hair, so there is no use trying to rush the process. No matter the style that you are trying to create, thicker hair requires extra patience, and you will definitely need to set aside more time for styling, especially for complex styles. Your hair will always look voluminous and fabulous, as you have a hair type that so many others lust after. For making hair thicker, you will need to start thinking even to your diet. It incorporates with vitamins, specific for hair and nails, which will give strength & volume to the hair. This is useful post for me..